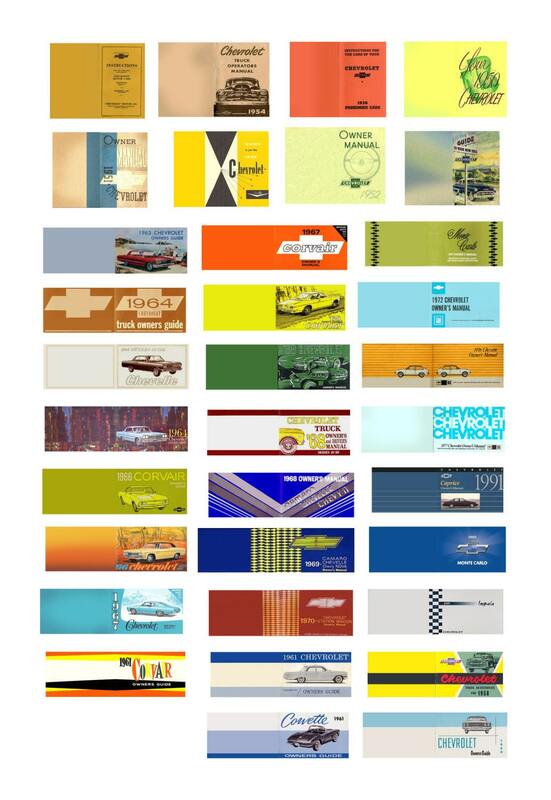 This is a sheet of owner's manuals for 1/24 and 1/25 scale model Chevrolets. These manuals replicate in scale the covers of owner's/operating manuals for Chevrolets of various years and models from the 1920s-2004, including Impala, Corvair, Monte Carlo, and trucks. These are suitable for use on any car model in a comparable scale. This sheet is printed on photo paper using photo dyes for durability. This sheet includes thirty-four pairs (34 manuals total) Just cut out the covers, fold them in half, and glue these manuals in your model for added realism.